Leave from USA on Tuesday Oct 24th arrive by 5 am. DAY 1 Wed Oct 25 - Connection flight early AM from Lima to Iquitos reception and transfer to the Amazonas Sinchicuy Lodge by Motorized boat over the Amazon river . Recover and explore around the lodge learn about medicinal herbal plants and traditions of the indigenous of the Amazonia people. All meals included while at lodge. 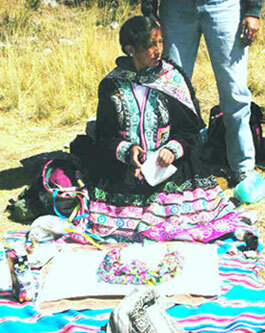 DAY 2 Thur Oct 26 - Meeting with our indigenous medicine man to prepare for sacred plant ceremony in evening . After breakfast a relaxing excursion to learn about Flora and Fauna of the Amazon Rainforest. Commune with the Pink Dolphins and more native Amazonian wild life and walk though rainforest to commune with amazing Amazon sites. 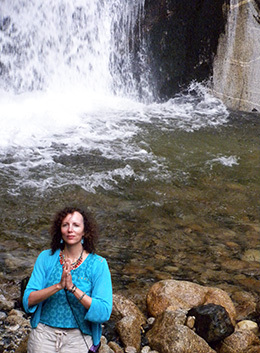 Sacred Plant medicine session 8 PM lead by experienced Shaman. DAY 3 Fri Oct 27 - Start morning with cleansing healing bath ceremony with aromatic plants in Amazon River lead by indigenous medicine shaman. Afternoon and excursion in jungle tour . Time share about sacred plant experience . Optional second ceremony extra. 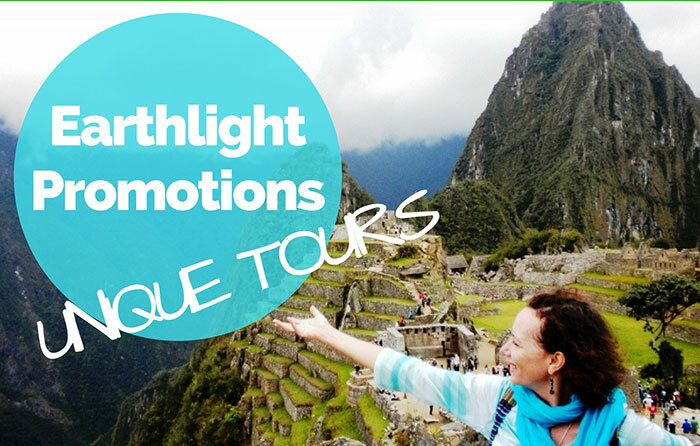 DAY 4 Sat Oct 28 - Morning transfer to the Airport for fly from IQUITOS to LIMA to CUSCO Ancient City of Inkas. Welcome reception with Andean Medicine People, and transfer to the Hotel in Cusco easy afternoon drink mate de coca in order to accumate to elevation 3.350 Meters. Late Afternoon trip to Koricancha (Temple of the sun ) Overnight at Cusco Hotel Siete Ventanas. DAY 5 Sun Oct 29 - Early departure for tour of Pisaq , with ancestor connection ceremony lead by Dona Berna indigenous medicine woman. 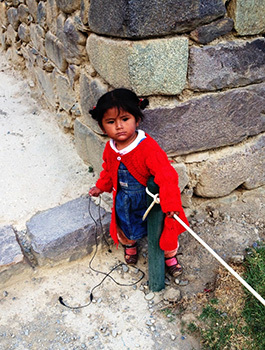 Walk to the town for shopping at historic Pisaq Market . 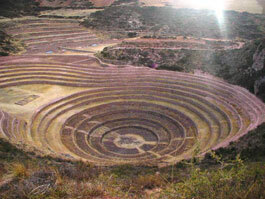 Next travel to Misminary community in the upper part of Moray Inca site. Nice view of Apu Veronica for Mother Earth + Fire Ceremony and connection with Apu Veronica (Wakay Willka) lead by Medicine Woman Berna and Nazario, they both travel rest of journey with us for group healings and ceremonies. We can see the 4 circles of Moray Overnight Home Stay at the Misminary community and fire ceremony. All meals are included that day. 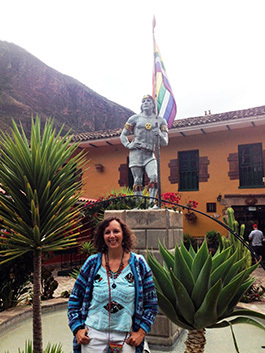 DAY 6 Mon Oct 30 - Early walk to Moray and Salineras and then to Ollantaytambo for the tour. Overnight Ollantaytambo Lodge. DAY 7 Tue Oct 31 - Early scenic train ride to Urubama Province. Bus ride to the sacred site Machupicchu and coca Kintu, Jallpay ceremony time for meditation. Overnight in Aguas Calientes town, and hot springs bathing. Overnight at Hotel Presidente. DAY 8 Wed Nov 1 - Machu Picchu again for hiking or meditation. Options for hiking to top Wayna Picchu Mountain takes up to 2 hours up and 1 hour down for the fit only and explore Temple of the Moon. Evening train ride back to Ollantaytambo. Overnight in Cusco Hotel Siete Ventanas. DAY 9 Thur Nov 2 - Morning ride to Sacsayhuman, Chacan (Temple of the rainbow ) with local indigenous medicine person and Killarumiyoc. P.M. free time. 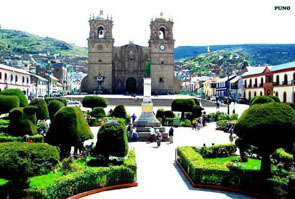 DAY 10 Fri Nov 3 - Cusco to Puno by private van about 6 hour ride to boarder of Peru & Boliva to Lake Titicaca region. First visit ancient water site Tipon, Raqchy temple of Wiraqocha (Temple of the God) and Temple of the Rainbow time for meditation. Overnight at Puno Royal Inn Hotel. DAY 11 Sat Nov 4 - We will visit Chucuito temple of the fertility. Charcas Beach for Unamchasca Ceremony Andean baptism and Munay (opening the Heart) in the Titicaca Lake with Bernadina and then to Wilcauta Amaru Muro house of the spirit or star gate connection with the Lemurians Ancestors time for meditation Picnic lunch. DAY 12 Sun Nov 5 - Tour by Boat to the Titicaca Lake to Uros Island of the Floating Reeds , then to Amantani walk to Pacha Mama and Pacha Tata mountains on Amantani .Fire ceremony Overnight at local Family in Amantani Island, all meals included. DAY 13 Mon Nov 6 - Return from Amantani to Puno .P.M.Cutimbo for connection with the Universe in the tombs c Chullpas de Cutimbo. Overnight at Puno Royal Inn Hotel. DAY 14 Tue Nov 7 - Late morning Transfer to the Juliaca Airport for Fly To Lima, option to stay a few days in Lima or transfer back to USA. *Payment Plan Available Deposit Due $333 by Feb 13, 2017. Average meal in Restaurant in Peru $30 Sols ! Hotels 3 and 5 stars with breakfast included. 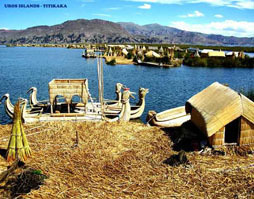 Private Boat On Titicaca Lake, Puno. All the meals at Amazonas Sichicuy Lodge. Flight tickets Lima - IQUITOS and IQUITOS - LIMA. Flights tickets LIMA – CUSCO. 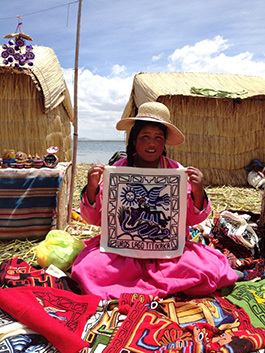 Flight ticket JULIACA -LIMA , from Puno Lake Titicaca. Train ticket's to Machu Picchu. 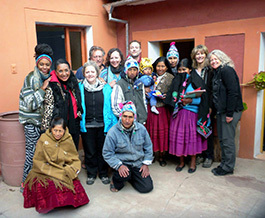 View my slideshow about My Last Peru Sacred Journey Sept 25 to Oct 8, 2013.